This safari special offer allows you, as the traveller, to create your own safari, giving you a choice of 2 – 4 top quality lodges and spending anything from 3 to 8 nights exploring this top quality Botswana circuit. You can, therefore, design your own itinerary to suit your specific needs, time-frame, and choice of preferred destination. Including in each package option is a value-added element, providing you with a highly competitively priced safari experience and allowing you to experience this amazing African Safari which you can afford. 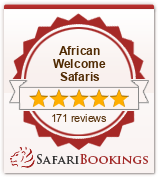 Our package prices are common rated, with all necessary internal flight transfers included, as well as all meals, your safari activities , local drinks, laundry and park fees. Savute offers a large summer zebra migration, subject to the rains, between November and December, and also between February and April. Victoria Falls is in close proximity to Botswana, and we suggest, in order to enhance your trip of a lifetime, why not add on a couple of nights in Victoria Falls to see one of the 7 Wonders of the World – the mighty Victoria Falls ! The magnificent Victoria Falls – or Mosi-oa-Tunya (the Mist that Thunders) – is located on the Zambezi River between Zambia and Zimbabwe. Being one of the largest falls on the planet, it is considered by some to be among the Seven Natural Wonders of the World.